Call/Text 843.509.4751 for more information! 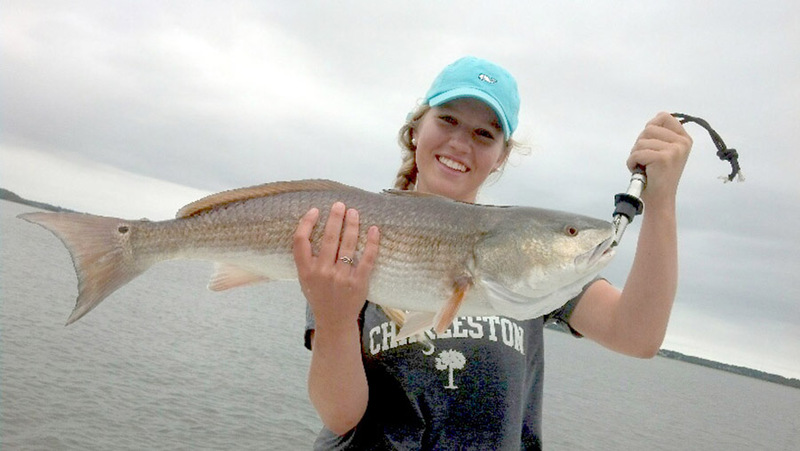 We are Charleston, South Carolina's friendliest and most requested inshore fishing charter service for light tackle and fly fishing adventures! Located in Shem Creek in Mount Pleasant, we operate year round and are dedicated to providing you with an exciting and safe day on the water. 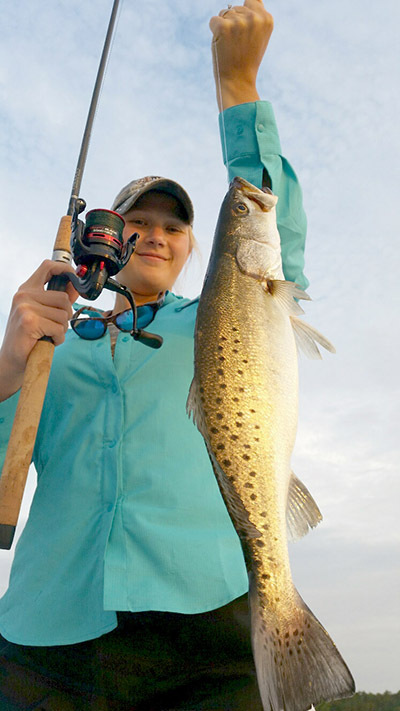 The pristine, endless miles of shoreline along the Charleston coast offers anglers many opportunities for a variety of saltwater fish. 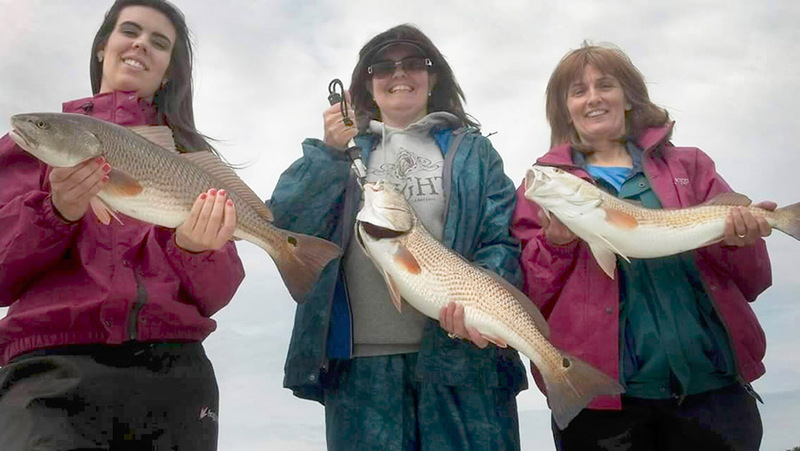 We target redfish (aka red drum/spot-tail bass), sea trout, flounder, sheepshead, bluefish, Spanish mackerel, ladyfish, huge sharks and much more! 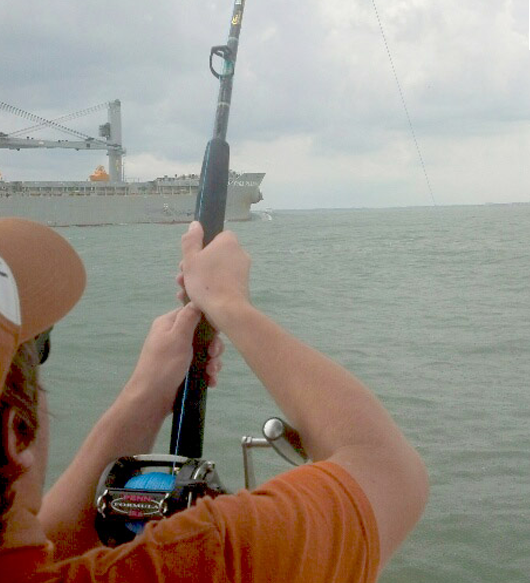 We provide all tackle, live bait and fishing licenses. We provide over 30 years of local knowledge with over 14 years of chartering service in Charleston. If you are a first time angler, seasoned pro, or just want to get out on the water with the family to relax and take in some sights, give us a call. 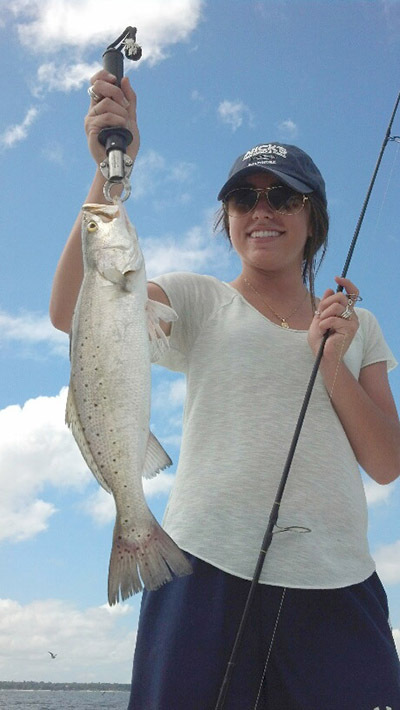 We have a fishing charter to accommodate your needs. 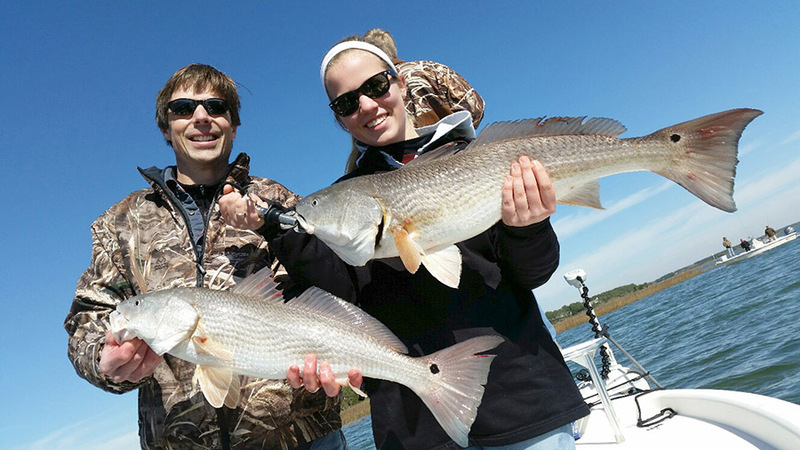 Come spend a day with Charleston's hardest working Inshore Fishing Guide and experience the scenic beauty of the Lowcountry and all that Charleston's waters have to offer. Call 843.509.4751 for more information. I started fishing the waters surrounding the Charleston area at the age of 15. 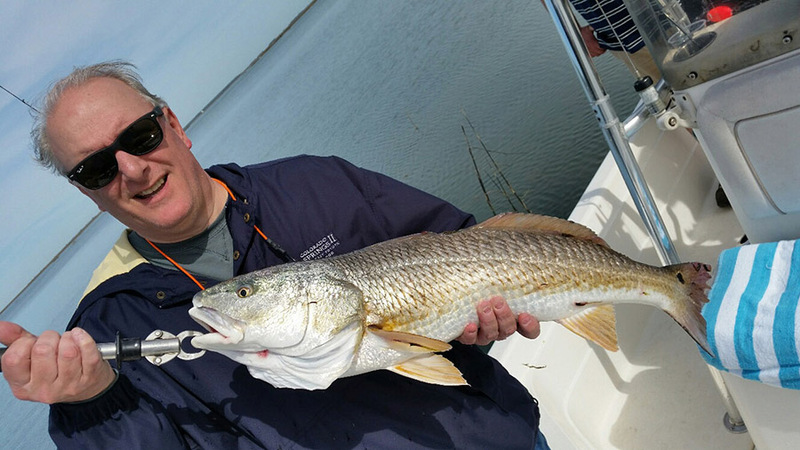 Now in 2019, I have over 30 years of fishing experience and over 14 years of chartering service in Charleston, SC. 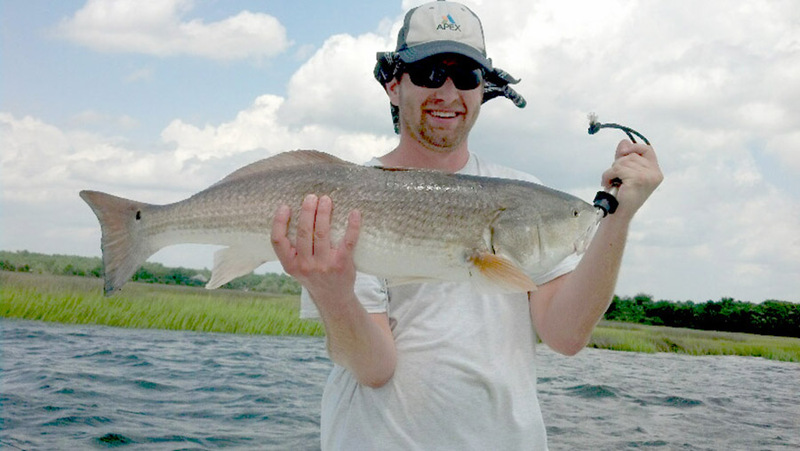 I am a full-time fishing guide with countless hours of fishing experience in the Charleston Harbor, the Wando and Cooper Rivers, catching anything from redfish to monster sharks along the beaches. 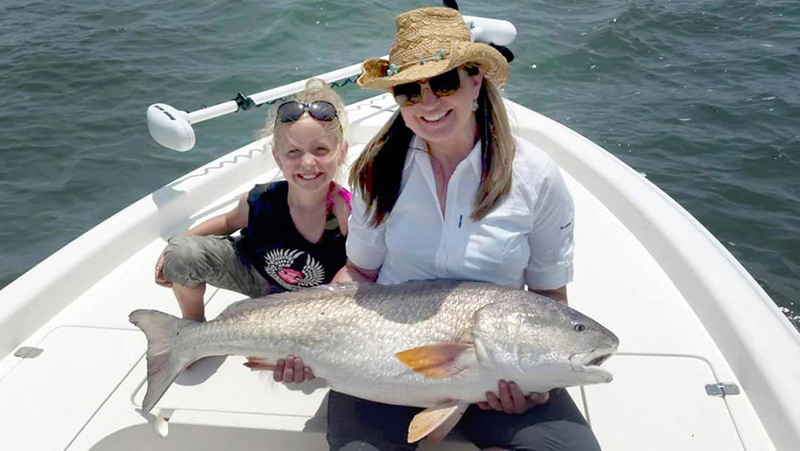 I encourage novices, seasoned anglers and families with children to join me. Your fishing trip is important and all charters are tailored around your experience and the species you would like to catch. All fishing trips are planned around the best tidal phase to ensure a successful fishing adventure that you will never forget! The thrill of a "screaming drag" from hooking a big fish is something that I want you to remember! While on your inshore fishing charter, we will be fishing from a 22ft Shearwater bay boat powered by a Yamaha 200hp VMax motor. The boat is currently equipped with a full T-Top for those sunny days on the water, Hummingbird down scan and side scan imaging electronics and a Minn Kota I-Pilot trolling motor. The boat can easily accommodate up to 6 passengers. 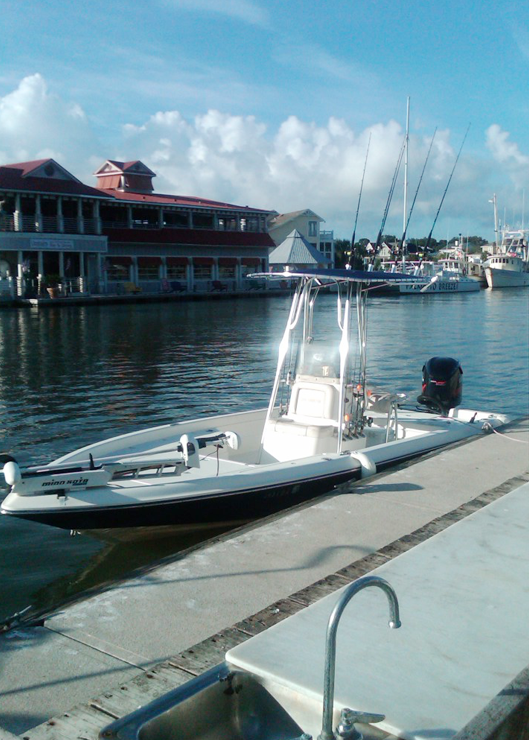 The design of the boat lets us ride in comfort and safety to our fishing destination. I provide all fishing licenses, rods & reels, tackle, bait and ice, but if you are comfortable fishing with your own gear please feel free to bring it. I offer half day, 3/4 day, and upon request full day charters. I also run a 17ft Action Craft Carbon Kevlar flats boat for those who want to sightfish for Redfish in the marsh or tail Reds in shallow flats where bigger boats are unable to go. Call 843.509.4751 for more information! Full day (8 hours) Charters are available upon request, and start at $800.00 for 2 people. This trip is catered toward fishing for VERY LARGE SHARKS. 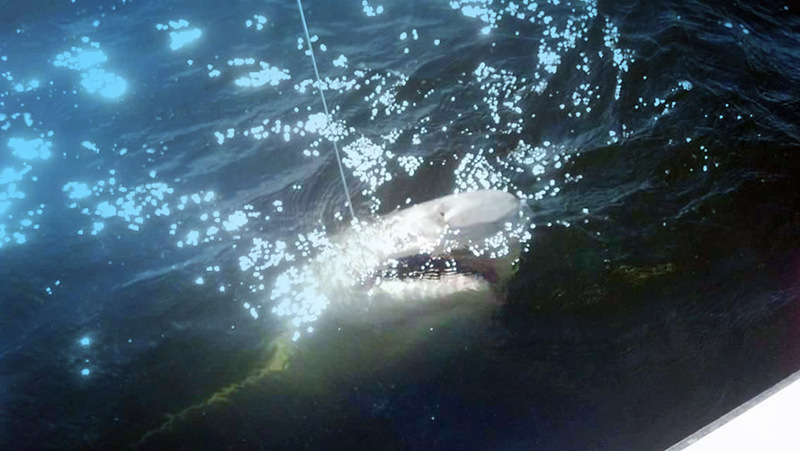 During the shark fishing charter we target Inshore Sharks in the 100+plus pound range. Typically fights are long (sometimes over an hour) and the sharks are HUGE. We use heavy tackle, but if you have gear that you want to test out you are welcome to bring it. Species encountered are Sand, Bull, Lemon and Nurse Sharks. Whichever it may be, we target VERY LARGE SHARKS on this excursion! 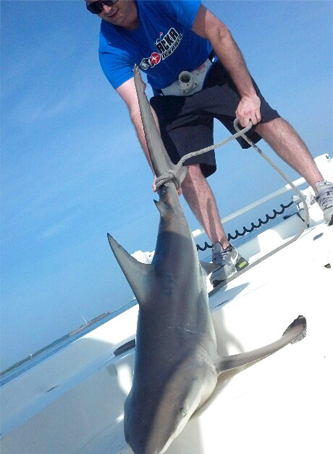 If you want to catch smaller sharks such as Bonnetheads, or Atlantic Sharpnose sharks I recommend the 2.5 hour shark fishing trip. 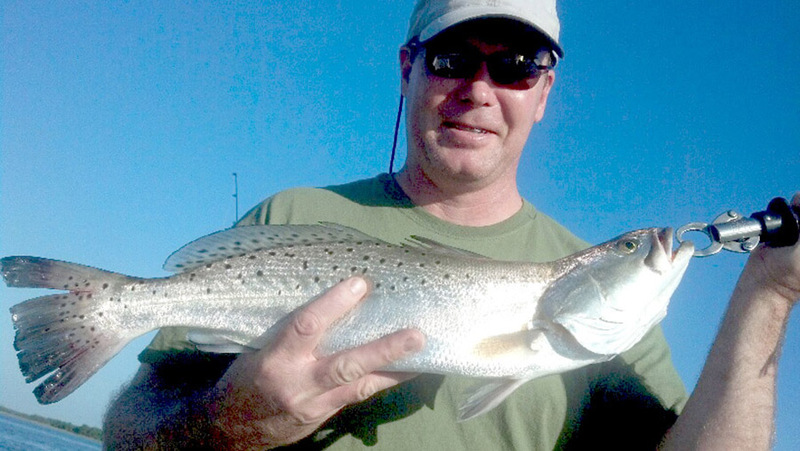 If you want to test your big fish fighting abilities this trip is for you! Inshore rates apply. $300.00 for 3 hour fishing excursion. Tailored for the smaller angler. We target fish or sharks that will bite fast to keep your children interested. Species include Black Sea Bass and Sharpnose sharks are targeted. $500.00 for 5 hours. This is our most requested excursion for families with young children. We combine 3 hours of fishing with 2 hours of beach combing on Morris Island overlooking Ft. Sumter in the Charleston Harbor. After fishing we will beach the boat and your family can explore the beach for shells, sharks teeth or go for a swim! While on the beach bring your own picnic lunch to enjoy before we heading back to Shem Creek. Additional hours on the excursion are available at $75.00 per hour. $300.00 for 3 hour fishing excursion. These trips are private and designed for guests who don't want to stay on the water for half a day the trips are 3 hours in duration. 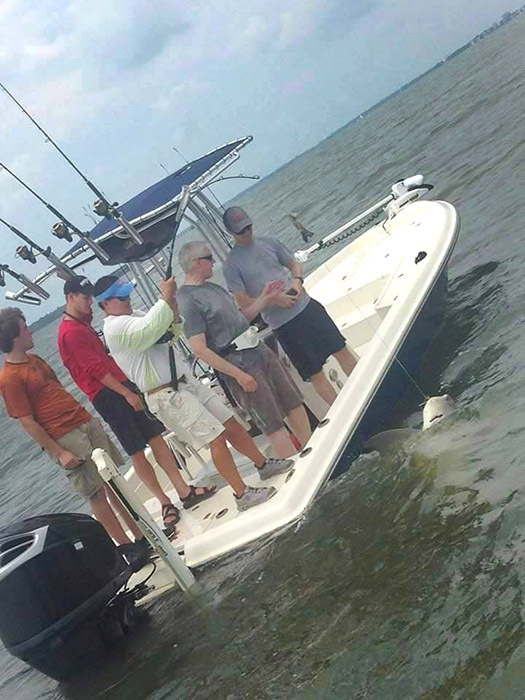 Species commonly caught are Bonnethead Shark and Atlantic Sharpnose. $350.00 for the cruise.Bring up to 6 people! FUN! FUN! FUN! Enjoy a Lowcountry sunset while leisurely cruising around the Charleston Harbor listening to your favorite tunes. See the USS Yorktown, the Battery, Waterfront Park and spot dolphin! Bring your cameras, hats, favorite libations and snacks. The cruise departs from the Waters Edge Restaurant 2 hours before sunset. Call 843.509.4751 for reservations and availability. Credit card or deposit is required to hold a reservation. Captain Jeremy reserves the right to cancel a charter due to unsafe weather conditions. Failure to show up for a charter without prior notification will result in the client paying the full charter rate agreed upon for the date. Deposits will be refunded if the charter is cancelled due to unsafe weather. 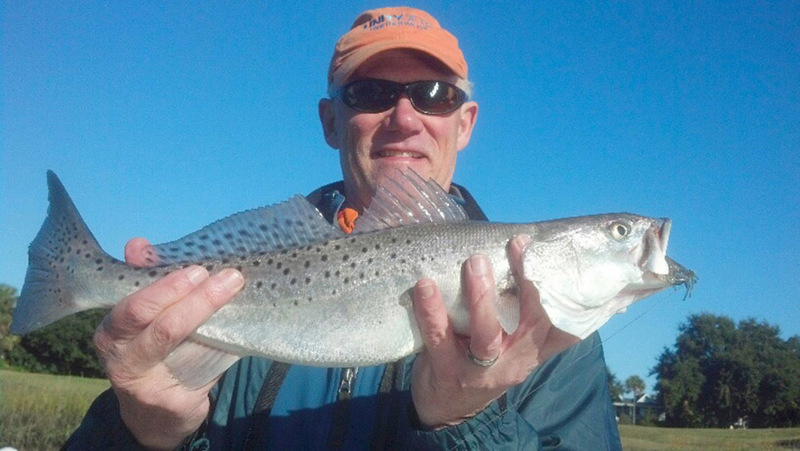 Book your inshore fishing or fly fishing charter in Charleston, SC by calling 843.509.4751. Leave a message with the day you would like to fish and a phone number that you can be reached. You can also text message or by emaiing at jfish2live@yahoo.com. For your convenience you can also use the "CONTACT" button located on the website. During peak season it is recommended to make reservations days or weeks in advance. Thanks for visiting and we hope to see you on the dock soon. When you arrive park anywhere that is unmarked parking, DO NOT PARK IN A TOWING ENFORCED PARKING SPACE! Other departure locations include The Charleston Maritime Center located in downtown Charleston beside the Charleston Aquarium and the Charleston Harbor Marina located beside the USS Yorktown. Other departure points can be arranged if needed. 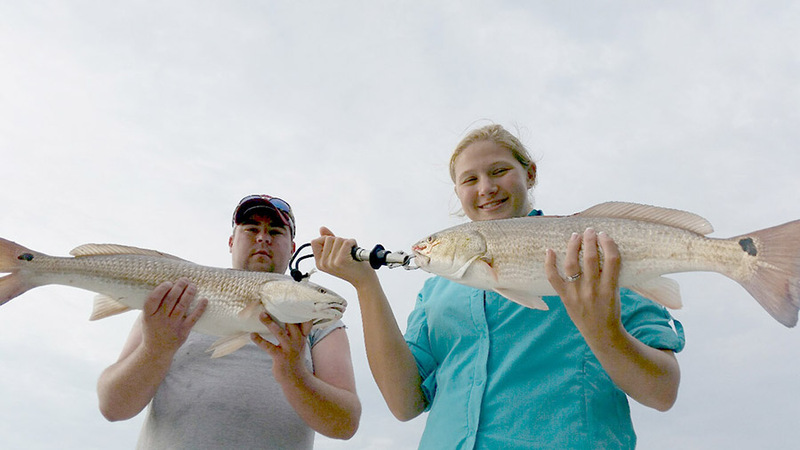 Different types of fishing charters are offered. If you have any questions or would like to inquire about a custom excursion please call 843.509.4751 or email at jfish2live@yahoo.com. 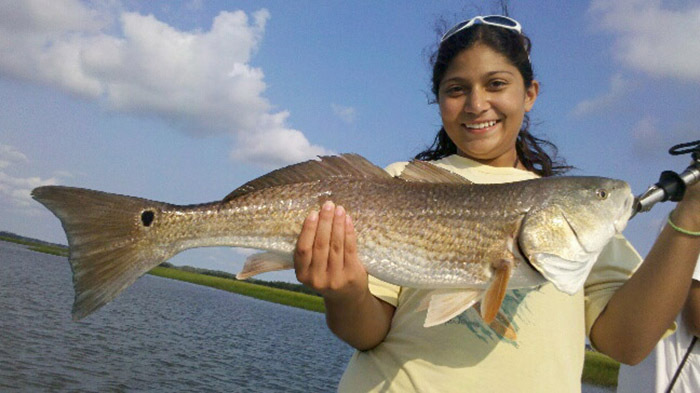 Consists of fishing in the rivers, creeks, inlets and beaches surrounding Charleston. Typically the water is calm and land is always visible so motion sickness medicine is usually not needed, but feel free to bring some. The travel time from the dock to the fishing destination is short - typically 20 minutes so you will be fishing within minutes. 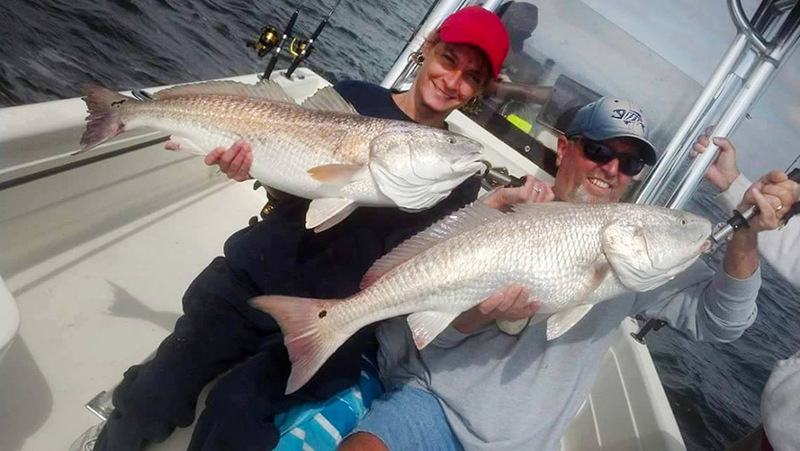 On this type of fishing charter, depending on the time of year, we target Red Drum (aka Redfish or Spot Tail Bass), Sea Trout, Flounder, Bluefish, Spanish Mackerel, Sharks, Sheepshead and more! 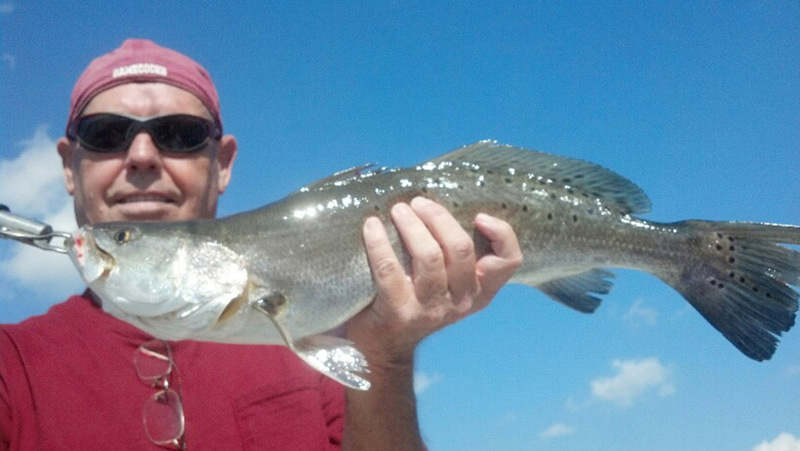 We use spinning reels and a variety of live bait, such as shrimp and finger mullet. This is the most popular excursion and is available in 1/2 day, 3/4 day and full day trips. Fishing trips are along the beaches, bridges and rock jetties. 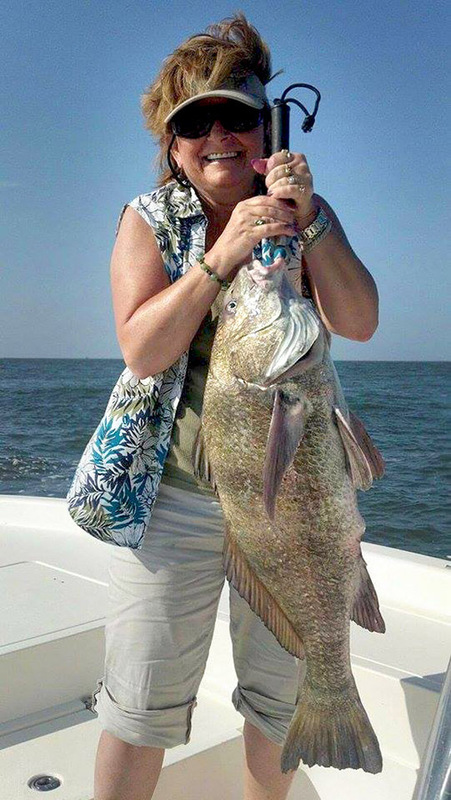 On these trips we target a huge sharks and huge Red Drum that frequent the coast during the summer and fall months. Some of the sharks we encounter on this trip are Bonnetheads, Black Tip, Sand, Bull, Nurse, Lemon sharks and more! 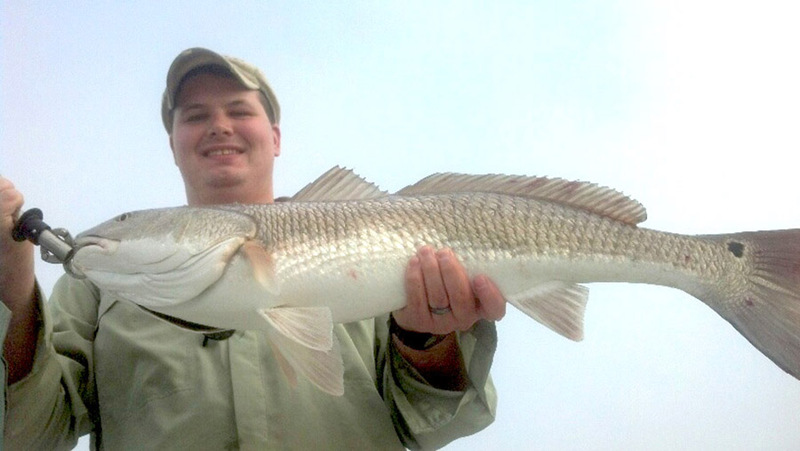 The Bull Red Drum we target on this trip are much bigger than the redfish we catch in the creeks. These fish can weigh upwards of 30lbs and are a hard fighting fish and lots of fun to catch. These trips are available in 1/2 day, 3/4 day and full day trips. 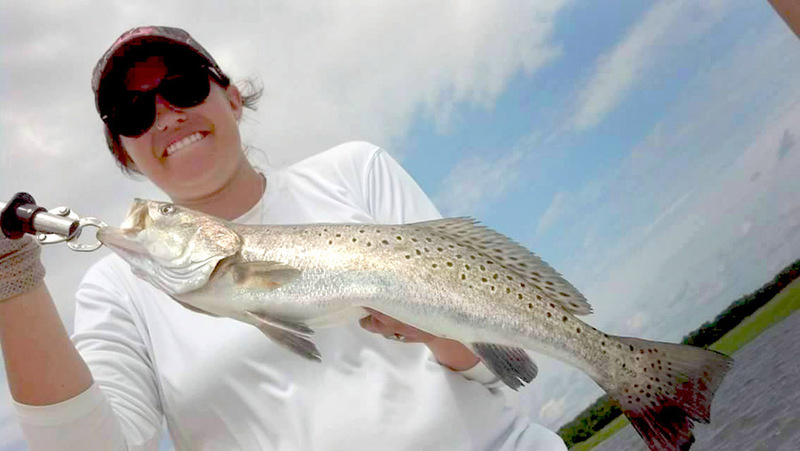 We target Redfish, Sea Trout, Bluefish, Spanish Mackerel, Sharks and anything else that will eat the fly! 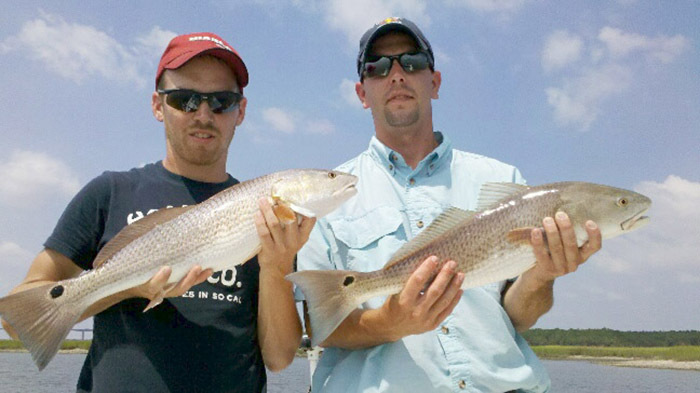 Our most popular target is Redfish. Depending on the time of the year you can sight cast to these on the flooded marsh as they are "tailing" or you can sight cast to them in the cooler months in gin clear water. We fly fish year round so the time of year will determine your adversary. These trips are available in 1/2 day, 3/4 day and full day. 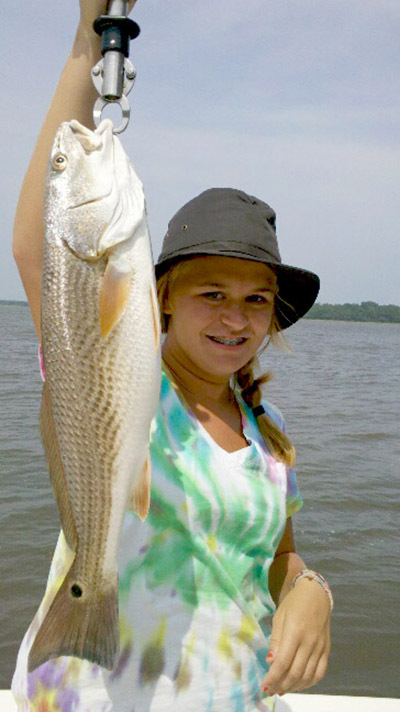 This fishing trip is 3 hours long designed for our younger anglers who have very little experience in catching fish. 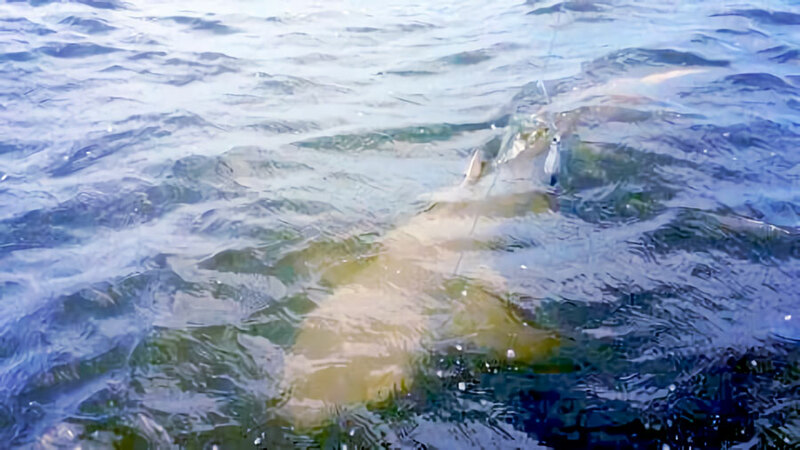 We target fish or sharks that will bite readily and instantly, including Sea Bass, Whiting, Croaker, Bonnethead sharks, Sharpnose sharks, Stingrays and many more. We appreciate your business and your feedback. 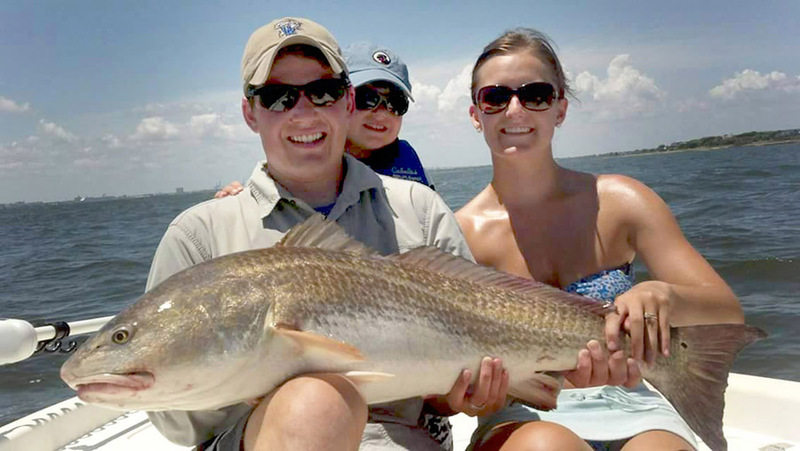 Our customer's word-of-mouth will help us grow and bring you the best inshore fishing experience this side of Charleston! Follow us via our social media outlets on Facebook and Twitter to get the lastest information and scheduling updates.